V LI performs refurbishment, heavy maintenance and installation of major structural steel, sheet metal and acoustic assemblies that comprise critical components of Noise Suppressors or Engine Test Cells. 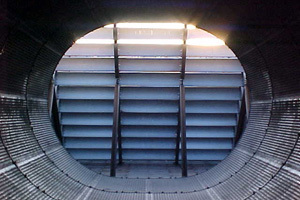 This includes roofing and exterior sheeting systems, turning vane assemblies, air inlet assemblies, acoustic baffles and panels, and exhaust systems – collectors, augmenter tubes, diffusers, baskets, baffles and grids. VLI and Atec field teams perform Test Cell inspections to identify issues and perform final inspections, and they are familiar with obsolescence and performance issues. 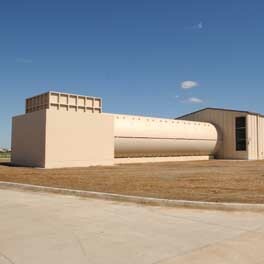 VLI has extensive experience with manufacturing and providing acoustic products for USAF Noise Suppressors and military aero engine test cells. 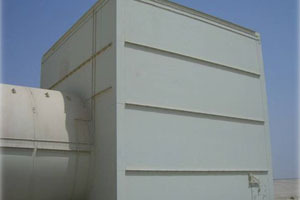 VLI developed and designed the ESAK system, which integrates manufactured high temperature acoustic pillows into the Exhaust Augmenter, Exhaust Collector, Deflector Ramp and Deflector Wall Panels of the T-9 and T-10 Hush Houses. We have supplied and installed this system in over seventy-five units in the field and in new and refurbished exhaust assemblies in our manufacturing shop. VLI has also designed, developed, supplied and installed acoustic pillows into the exhaust systems of the T-8 and T-4 Noise Suppressors. 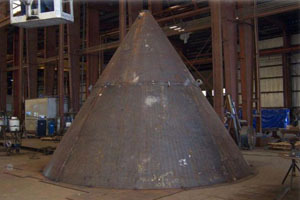 Manufactured acoustic pillows are most usually utilized for all assemblies in the exhaust stream of the Noise Suppressor. The purpose of using a manufactured pillow versus loose insulation is to prevent the degradation and loss of insulation which can occur during engine testing due to vibration, temperature and high velocity gases passing over the perforated face sheets of the various acoustic assemblies. 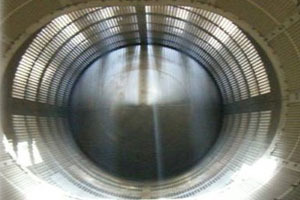 This is effected by encapsulating the insulation, typically in a high temperature cloth and/or mesh screen. The normal insulating product used is a high temperature wool product made from basalt rock. The pillow also is easier to install and ensures the cavity of each Exhaust Augmenter, Exhaust Collector, Deflector Ramp Panel, or Exhaust Baffles is uniformly filled. For Panels, Baffles and other Assemblies that are not present in the Exhaust Stream, VLI often wraps the insulation in a cloth product to form a simple pillow in the cavity of the assembly. At times a cloth pillow is stitched to again provide a higher level of product integrity and uniformity.